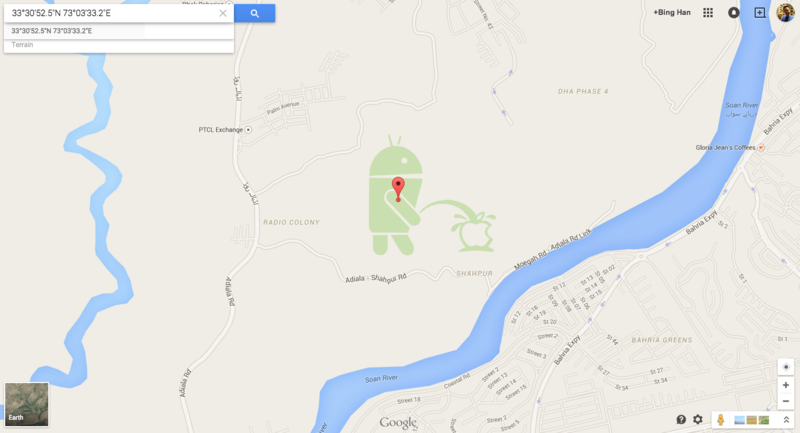 It was brought to our attention that there is an image overlay of what looks like the Android logo, urinating on an apple on Google Maps, near Kalyal Sharief, Pakistan. The image was believed to have been created using Map Maker, a Google app that lets users create landmarks and publish them onto the Google Maps database. Usually, user-submitted edits will be reviewed by Google and other trusted users, to prevent users from trolling and abusing the platform. But this edit has apparently slipped through the review system. It’s common knowledge by now that Google and Apple are rivals when it comes to many similar tech products: think Android vs. iOS, Android Wear vs. Apple Watch, and Android Pay vs. Apple pay. Who knows, this crude piece of anti-Apple graffiti could have actually been approved by one of Google’s engineers. 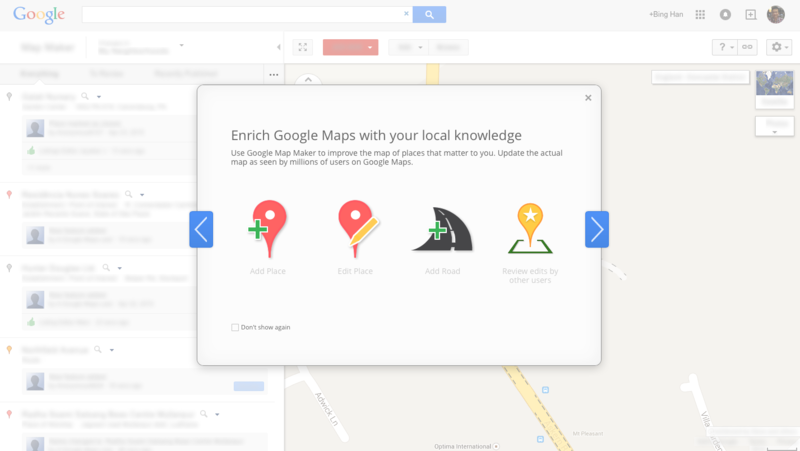 This “Google Maps Easter Egg” might also have been a way for Google to divert users’ attention from the recently launched Apple Watch.